For the last time it's NOT the Porsche Cayman. 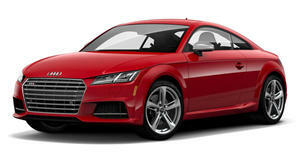 When it comes to their driving characteristics, the Audi TTS and Alfa Romeo 4C don’t have much in common. The TTS is quiet, refined and has daily usability. The 4C, however, . So why doesn't this Motor Trend comparison test feature a duel between the TTS and the Porsche Cayman? Because, simply put, they’re no longer direct rivals. Perhaps they never were. Look, . Same platform. The Cayman has always been its own unique thing. And as both car evolved over the years, their differences have become all the more clear. That’s why the TTS and 4C, as you’re about to find out, are truly the best rivals. 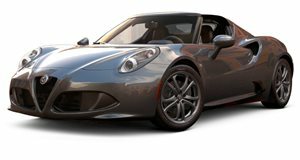 Does the 4C have the refinement of the TTS? No way. Then again, does the TTS have the emotion of the 4C?